Buick’s Companion Car gives Phenomenal TOP Gear Demonstration over the Big Hill, N.S.W. The Buick built car, Marquette, which was only recently released to the Australian public, has lost no time in making its presence felt in the motoring world and substantiating the remarkable performance claims made by its builders for acceleration and general flexibility. The claims were so forceful that many experienced motorists were somewhat sceptical and their curiosity aroused. Consequently a search was immediately set for the unsurmountable difficulties of steep grades and hill climb tests. In New England, the Big Hill, on the Glen Innes-Grafton Road, which is well known to most motorists, was selected to either substantiate or disprove the remarkable flexibility of the Marquette. 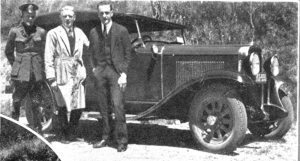 Mr. Stewart Galletly, Managing Director of Glen Innes Motors Ltd.. accompanied by Guide Gordon of the N.R.M.A., and Mr. B. Condon, of the ,”Examiner” staff, tried a standard tourer out with windscreen and hood up. The gruelling tests of five steep winding miles was faced under the strict observance of the officials named. The first series of hills was negotiated with remarkable case, the bends and grades being taken at any pace the driver wished. Owing to the depth of water in Diehard Creek the car had to be brought to a very low speed, but despite this handicap the immediate grade was ascended and the machine freely paced the long succession of hills. Two steep grades were encountered and the bends on top of each taken at 15 and 10 miles per hour. The car never faltered but climbed on. The hairpin bend was taken with ease and the negotiation of Macquarie Turn was faced. 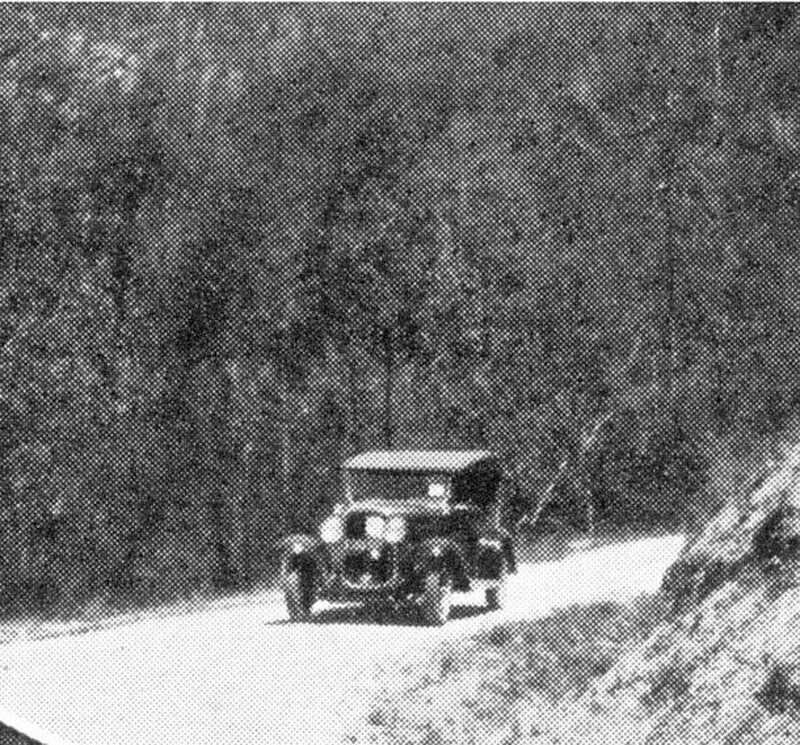 The car successfully mounted the grade and its running pace dropped to 10 miles an hour, and won through, this being the steepest and most difficult section of the climb. Proceeding, the well was passed at 25 miles an hour and the speed in-creased to 35 miles an hour when Horse Shoe Bend was taken, which offered little resistance to the speed of the machine. Once over this the Hill was conquered and the Marquette gained a victory. The Big Hill has been recognised throughout Australia as being an impossible climb for a standard model car in top gear. It is not only the grade which makes the hill climb difficult but also the many ‘S’ and hairpin bends which have to be negotiated and present themselves every few chains, while an error of judgment would precipitate the machine a few hundred feet over the side. As a rule the Hill is ascended in second and low gear, with heated engines, but the Marquette finished normally, no signs of boiling or over-heating. The same drivers ascended the Hill twice, just to prove that it was not a stunt and to substantiate the claims made by the makers for this unique car. Pictured (above): Guide Gordon, of the N.R.M.A., Mr. Stewart Galletly, Managing Director of Glen Innes Motors Ltd , and Mr. B. Condon, of the “Examiner” newspaper were the occupants of the car which ascended the Hill twice to prove it was not a stunt and to substantiate the claims of Marquette. Thumbnail (below): The Marquette negotiated the famous Horse Shoe Bend at thirty-five miles per hour.